Candidates of the King’s Own Calgary Regiment Basic Military Qualification (BMQ) Course 0503 paraded May 2nd in celebration of their successful graduation. The thirteen candidates attended BMQ from January 5th to April 29th, 2018, training on Wednesday evenings and weekends at Mewata Armory and in the field. The course was staffed by Primary Reserve and Regular Force members. The thirteen graduates of the twenty original candidates of this course are Private (Pte) Baha, Pte Bantli, Pte Chiu, Pte Howlett, Pte Kennedy, Pte Kinder-Dubreil, Pte LaGrange, Pte Millott, Pte Oketayot, Pte Pattullo, Pte Peacock, Pte Pelletier and Pte Wallace. Pte Kennedy was awarded top marksman. Top candidate was awarded to Pte Bantli. The BMQ course is the primary foundation upon which soldiers then further develop their skills. All members of the Canadian Forces regardless of trade undertake BMQ. The course is an integral first step for candidates as it the transition period during which they become soldiers and acclimatize to life in the military. The skills and knowledge taught included proper drill, rank structure, military ethos, values of the Canadian Forces, weapons handling, first aid and navigation. Candidates were then tested to ensure they met certain standards in military theory, weapons safety and handling, first aid knowledge, shooting proficiency and navigation. Candidates on the BMQ course spent their days waking early for physical training, followed by an inspection and a full day of classes and training. The day would then end with studying and rifle cleaning. 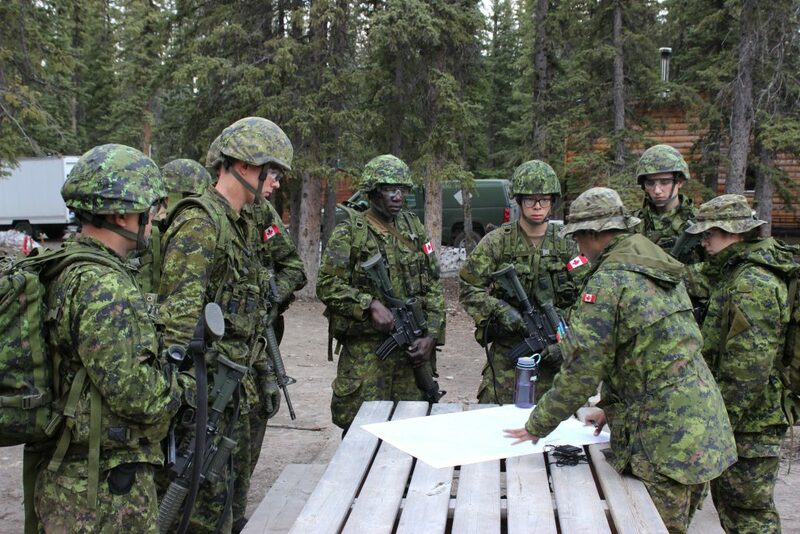 Extensive time was spent learning the proper operation and care of the C7 rifle, practicing drill and parade movements, studying facets of the Canadian Forces and various other activities. Teamwork was also heavily emphasized as candidates learned to approach tasks as a cohesive group and rely on each other and the chain of command to achieve goals. In the field, skills were further tested in range drills, ruck marches and navigational objectives. Candidates faced challenges such as the gas hut in which they had to properly don gas masks and protective equipment to avoid the effects of tear gas. Different weather conditions also presented difficulties, with candidates learning how to build shelters in different situations and operate in the winter. Candidates shot their C7 rifles at a range during the day and night to practice different shooting positions. Navigation with map and compass was also done, with candidates finding bearings and estimating distance in order to lead sections to objective points through forested terrain. Having completed BMQ, these graduates will now continue to do their Basic Military Qualification Land (BMQ-L) and Developmental Period 1 (DP1) courses on the path to becoming fully fledged Troopers of the King’s Own Calgary Regiment. The BMQ-L course is designed to expand on BMQ skills, focusing on combat in field conditions. DP1 teaches trade-specific skills such as driving armoured vehicles and operating the C6 in the case of Armoured Crewmen. Special thanks to the course instructors for their time and dedication in training candidates. Appreciation is also given to the family and friends of candidates for attending as well as their ongoing support and encouragement to the members of the King’s Own Calgary Regiment.